I don’t know about you, but sometimes I find change.org petitions addictive. I get a few of them a week via email and, let me tell you, they can be a bit hard to ignore. There are so many great causes and the people behind them pull you in with their passion. But I like to be genuine and committed to things I sign, so I’ve managed to resist the urge to become too sign-happy. 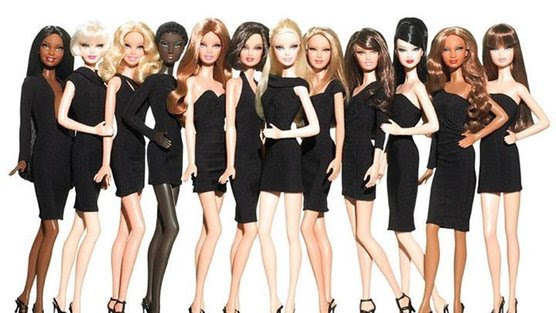 However, when I saw this recent petition about bringing diversity to the Barbie line, my mouse finger instantly started to itch to join the others who believed in this cause. This new petition really resonated with me because I felt like Tessa, the young woman who started it, was telling a little bit of my own childhood story. I, too, was a little brown girl who grew up searching for dolls and images that looked more like me. Not only was I a Latina growing up in a predominately white town, but I was also adopted by a white family. My mom recalls me constantly looking for dolls that looked like me — the closest matches became Snow White with her black hair, a limited edition Hawaiian Barbie, and a “My Child” doll who looked like me…save for her green eyes. Needless to say, especially in the ’80s, it wasn’t easy to find a doll that looked like Little Lizz. So, in some ways, it shocks me that this petition brings to light that diversity is still an issue with the Barbie line. How can it be, with such a long history and large profit, that Mattel has not made their dolls more ethnically diverse? While it could make a lot of little girls very happy, and that should be the priority…wouldn’t it also make them a lot more money? Even the “American Girl” line is way ahead of them. Come on, Mattel, get with the times! I happily signed this petition for the little girl in me, and for all of the little girls who deserve dolls that look like them so their playtime imaginations can feature women of color in successful, adventurous roles. Will you sign, too? Did you have dolls that looked like you when you were a little girl? Ladies, did you play sports as a kid? For me, there was no question about whether or not I COULD play sports, it was just a matter of which ones! I played soccer, softball and basketball from the time I was 4 years old. I also did ballet, tap and gymnastics. And my parents were equally supportive of both. Of course, it helped that in the community and society in which I was raised, little girls and women didn’t have to face obstacles to explore the world of competitive athletics. However, not everyone is that lucky. 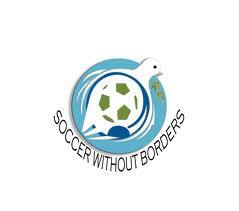 Soccer Without Borders is an international nonprofit that works to empower youth with soccer as a catalyst. While they have outreach and camps in several countries, one of their efforts called to me in a special way: a girls team in Granada, Nicaragua. Through participation in the SWB program there, these Nicaraguan girls not only build self-esteem and develop a stay-in-school mentality, but they can also gain “points” they can exchange for school supplies, clothes and toiletries. I was so inspired by these chicas, that I included them in my holiday giving by donating to their project through Global Giving. To watch a video of the girls and learn more, click here. Before the new year hits…are you supporting girl power organizations with a donation this year? For another inspiring Latin American soccer story, you should also check out “Dreamtown,” an unforgettable documentary (produced/directed by my talented friend Betty Bastidas) about 3 young Afro-Ecuadoran men who struggle to follow their dreams of finding success as soccer players. I’m sitting here admiring two of my old dresses: a red bridesmaid dress from my best friend’s wedding 6 years ago and a formal black and gold one from a dance in college. I have great memories from both events, but I realize…I haven’t worn either dress since! So what good are they, just sadly hanging in my closet? Do you have the same experience? Do you have a closet full of dresses that you only wore once and swear that you might use again sometime? Well, if you’re anything like me, you would love to find good use for them. So, I was ecstatic when I found out about the annual Prom Dress Giveaway being sponsored by Dominican Sunday, a community organization in New York City. Dominican Sunday has a special focus on Latino outreach in the Upper West Side. Their Prom Dress Giveaway takes donations of new or gently used dresses (as well as shoes, accessories and cosmetics), and gives them to girls in their Senior year of high school who would otherwise not be able to afford dresses and accessories. The first collection is this Saturday, March 5th. So, clean out your closets, ladies! Think about the magic your dress brought to you once and pass that on to a young woman who will surely be smiling in her prom photo, thanks to you. The drive ends the second week of April, so you still have time! I’m donating 4 dresses…how many do you have to give? 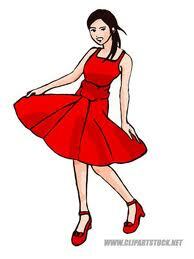 Tell me about the dresses you will be donating in my comment section here!